Elliot's most favourite thing to play with these days is figures - be that animal figures, Scooby Doo figures, people figures....anything goes as long as it's a figure! 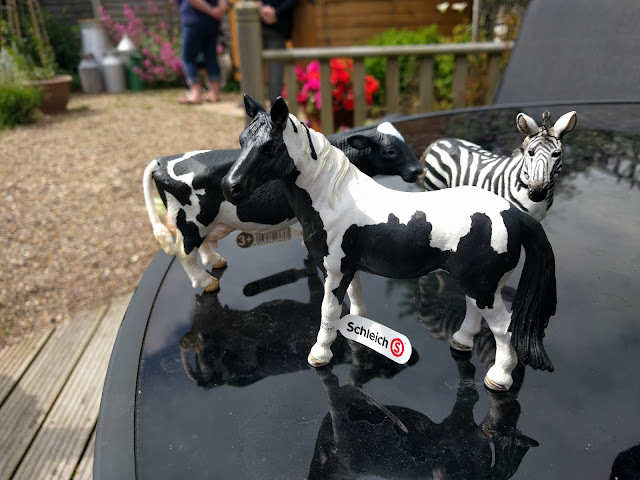 Last year we were introduced to the Schleich brand when my Mum happened to buy Elliot some new figures for his collection and it's a brand that I will always look out for now if I'm shopping for toys. Schleich have been making toy figurines and playsets for over 80 years and these toys can be played with by children around the world, irrespective of what language they speak or where they live. The figurines teach children about the diversity of nature from an early age and encourages creative and imaginative play. What I love about the figures is that they are created to be as realistic as possible and the quality is top notch. 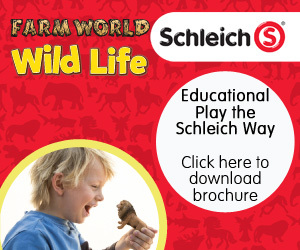 As part of their "Educational Play the Schleich Way" campaign, they have created a brilliant 16 page brochure which is full of ideas to help your child get the most out of playtime and to maintain a healthy balanced play diet. I'd not heard of the phase "balanced play diet" before but after reading the brochure it totally makes sense! Children need to spend their time enjoying many different areas of play and these can be broken down into the following: active play, creative play, social play and free play. 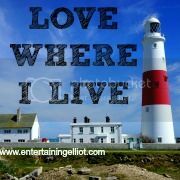 It really made me think about the ways that Elliot plays and I do need to mix things up a bit and introduce a bit more variety. He loves free play where he can bring his characters to life and it's fascinating hearing his imagination run wild. Creative play is one we need to work on more I think as he would much rather be playing with toys than sitting down to draw or do something creative. The brochure even includes some ideas for fun games to stimulate your child's imagination - we will definitely be making some time to recreate animal restaurant! 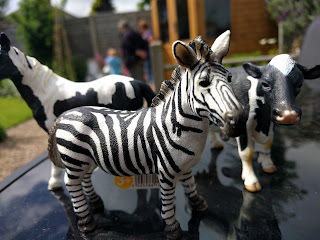 Elliot was sent three Schleich animals to test out and we received a horse, cow and zebra. 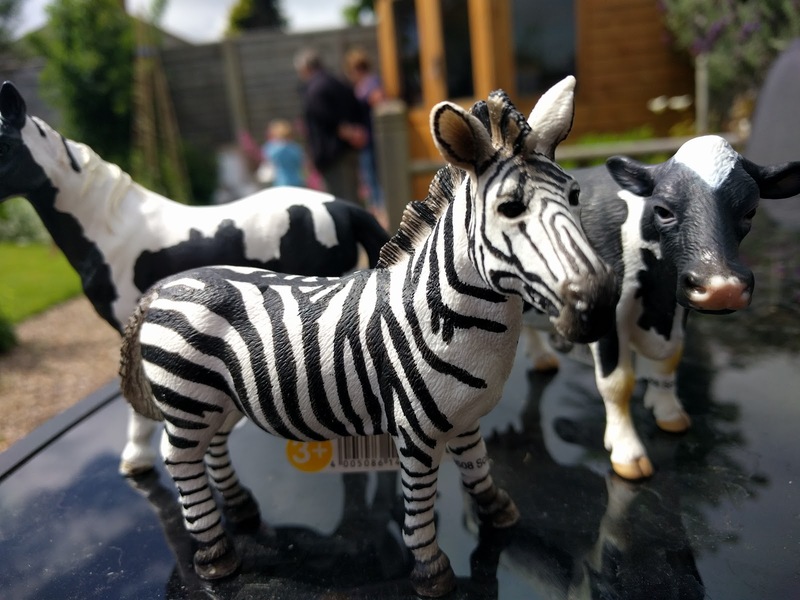 All three figures were immediately recognisable as Schleich due to the amazing quality and weight - there really isn't another brand on the market that matches Schleich for quality animal figures. Elliot's favourite game to play with his animal figures is to recreate Longleat Safari Park! He builds a train track and places all the animals around in their groups, and acts out a little story. The new Schleich animals were introduced to their new Longleat neighbours this week and have been settling in well! 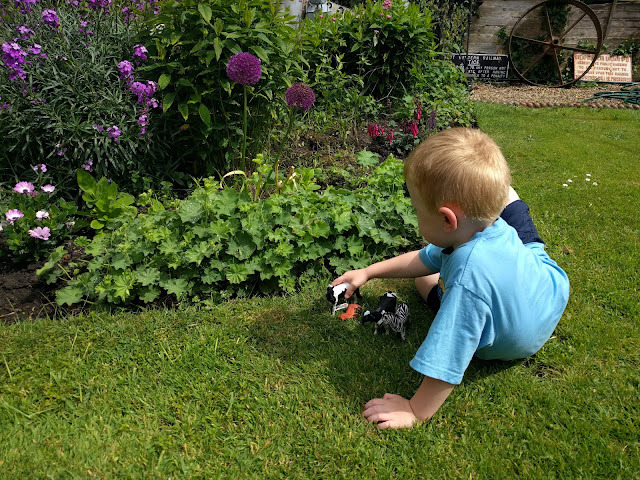 Elliot also took the animals to his grandparents house and spent ages playing with them in the garden. I'm sure Elliot will be playing with this Schleich toys for many years to come and I'm also positive we will be adding to his collection soon! You could include considerably more Biogenic Xr yet most men quit doing these activities in the wake of picking up to some degree around three inches Joining.